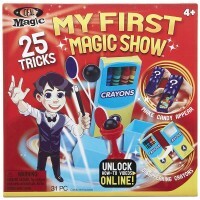 The Deluxe Magic Set for Kids from Melissa & Doug gives your children everything they need to put on their own magic show and perform clever illusions. 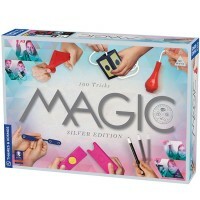 Calling all young magicians; It's time to amaze your friends with your mystical talents! 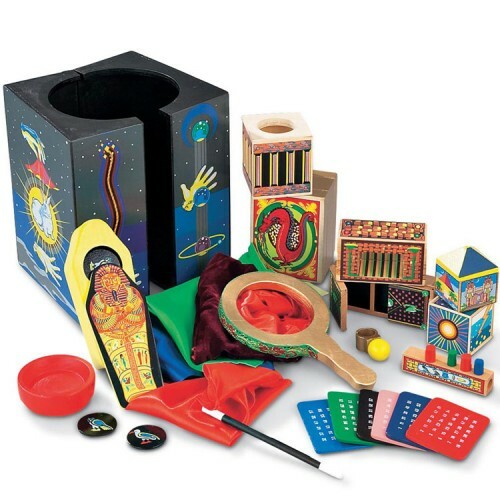 The Deluxe Magic Set for Kids from Melissa & Doug gives your children everything they need to put on their own magic show and perform clever illusions. Educational Toys Planet offers this multi-piece solid wood activity set as a great way to encourage your child's creativity and confidence. 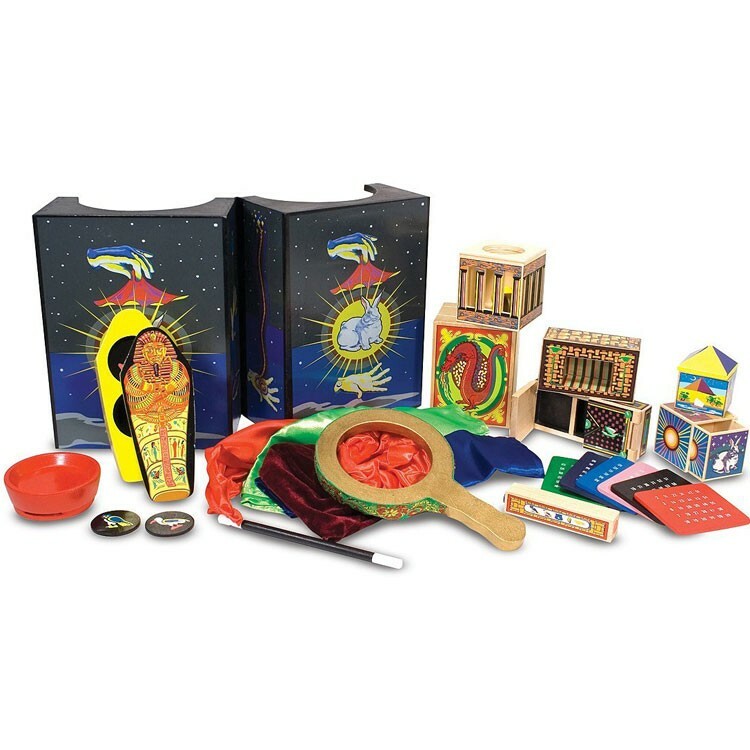 Melissa & Doug's Deluxe Magic Set for Kids is a multi-award winning toy and is one of Educational Toys Planet's bestselling toys for 1-2 graders. All of the tricks are easy to learn, and sure to amaze your friends! 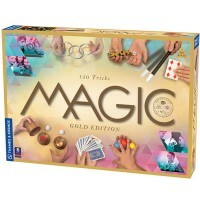 The Deluxe Magic Set for Kids includes professional tricks including disappearing objects, multiplying coins, magic boxes, magic prediction activities and many more. The durable wooden storage chest can even be used as a performance table, complete with a secret compartment. 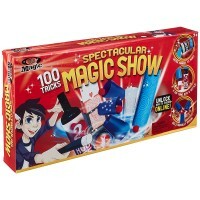 Gather your friends and grab your magic wand, it's show time! 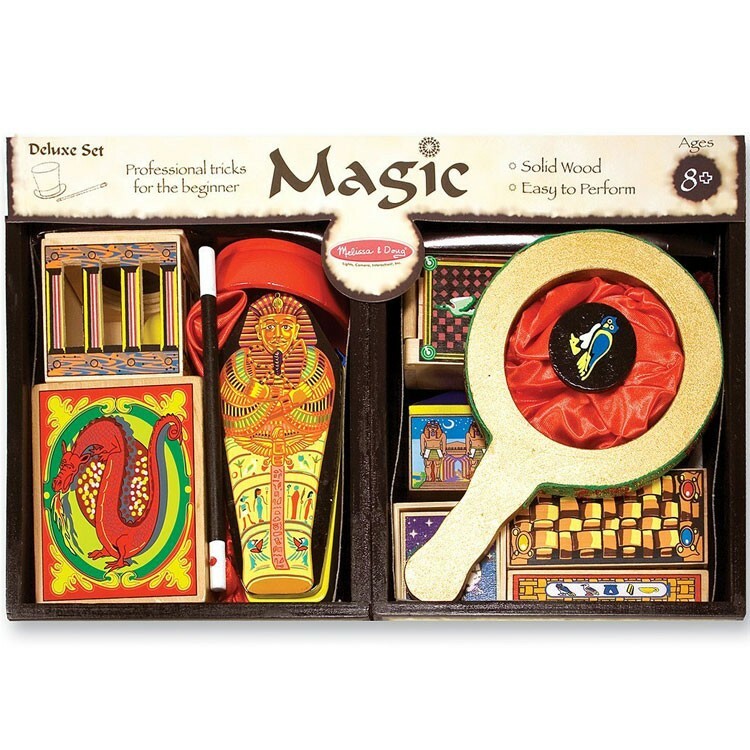 Dimensions of package 14.25" x 3.75" x 9.5"
Write your own review of Deluxe Magic Set for Kids. 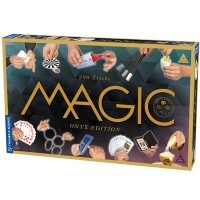 Rating: 5 by Stephen, IL Our grandson loved this magic set for his 8th birthday. 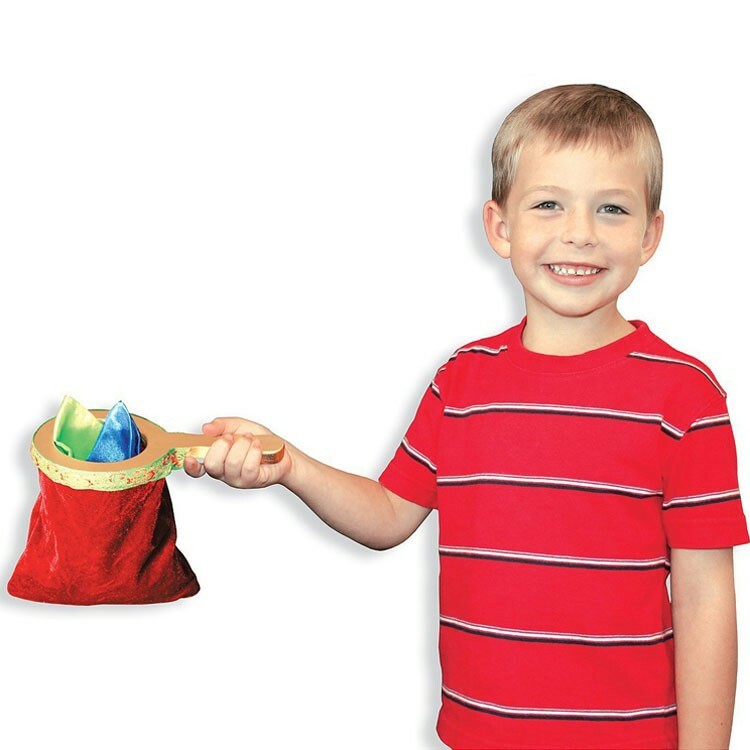 He opened it right away and started doing magic tricks instantly. This particular toy was at the top of his 'Wish List'. Since he lives in San Diego and we live in Chicago, we did not see for ourselves what the kit was like, but he seems very happy with it. Rating: 4 by Lina, VA Excellent way of getting them to think but it was a little challenging even for an adult to actually do some of the tricks. I believe more detailed instructions would have been more helpful as well. Rating: 5 by Gayl, TX Great toy, but in my kit the instructions were not included in my set. I had to contact Doug and Melissa at their website to get the instructions. 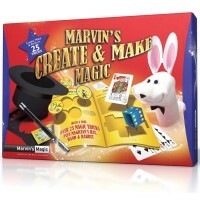 Rating: 4 by Tatyana, NY It was a gift for a 10 year old child, he loves it. Rating: 4 by Linda, PA Beautifully presented. But once it was opened many pieces got jumbled. 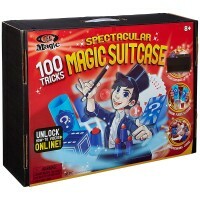 Perhaps, when feasible, each trick might be in its separate plastic bag. Also, don't print directions on the yellow background. Somewhat hard to read. Rating: 5 by Cindy, NM My grandaughter enjoyed this immensely!!! Very good quality. Rating: 5 by Brandon, NE My son loves to do tricks from this set. He shows them to the friends and family, and feels very proud to be a magician. Rating: 5 by Owen, MD My daughter really enjoys doing these magic tricks. She read the booklet and learnt them all by herself. She shows hers new artistic talent to all our guests. Great toy for older kids. 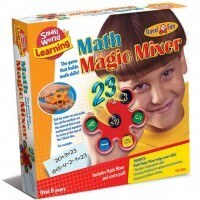 Rating: 5 by Patricia, NY This is a good opportunity to play teacher with a child and to help a child build a skill. It is an opportunity to seek perfection and to grow. 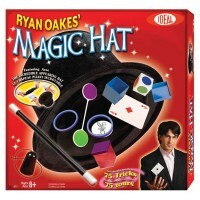 Rating: 5 by Robert, MO this magic kit is amazing. 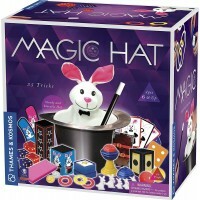 My daughter was able to perform most of these tricks the samd evening when she had received the gift. Some of them are simpler, some are really complex. And definetely appreciated by the kids.